For those of you (SARAH) who missed the chart that Calum demanded - - here it is. please read over the notes below and definitely put the last bit into your noggins! Making sentences negative in French is a bit different than in English, due to the two-part negative adverb and the sometimes difficult issue of placement. Normally, ne... pas is the first negative adverb that we learn. But there are actually many negative adverbs used just like it, so once you understand ne... pas, you can make just about any sentence negative. To make a sentence or question negative, place ne in front of the conjugated verb and pas (or one of the other negative adverbs) after it. Ne... pas translates roughly as "not." Je suis riche - Je ne suis pas riche. I'm rich - I'm not rich. Êtes-vous fatigué ? - N'êtes-vous pas fatigué ? Are you tired? - Aren't you tired? In compound verbs and dual-verb constructions, the negative adverbs surround the conjugated verb (except for nulle part [see page 2], which follows the main verb). Il ne sera pas arrivé. Tu n'avais pas parlé ? Il ne veut pas skier. He doesn't want to ski. Il ne peut pas écrire. J'ai une pomme > Je n'ai pas de pomme. I have an apple > I don't have any apples. Je ne sais pas > Je sais pas. Ne ... pas is the most common French negative adverb, but there are a number of others which follow the same grammatical rules. Il n'est pas encore arrivé. He has not arrived yet. Je ne mange pas toujours ici. I don't always eat here. Je n'aime pas du tout les épinards. I don't like spinach at all. Je n'aime pas non plus les oignons. I don't like onions either. Il n'est aucunement à blâmer. He is in no way to blame. Il n'y a guère de monde. There's hardly anyone there. Nous ne voyageons jamais. We never travel. Il ne veut nullement venir. He doesn't want to come at all. Je ne l'ai trouvé nulle part. I couldn't find it anywhere. Je ne te hais point. I don't hate you. Vous n'y travaillez plus. You don't work there anymore. Il n'y a que deux chiens. There are only two dogs. 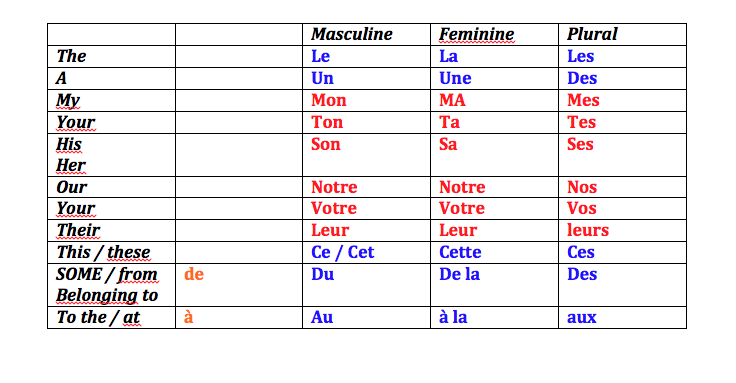 he French negative adverb pas is often used in conjunction with ne, but pas can also be used all on its own. There are different reasons for this; the one I get asked about the most is when pas is used to negate a verb, and it's addressed in my lesson on informal negation. The focus of this lesson is the use of pas without ne to negate an adjective, adverb, noun, or pronoun. Note that this use of pas is somewhat informal - in most cases, it is possible to make a sentence using ne ... pas that means the same thing. - Il doit être ravi ! - Pas ravi, mais content, oui. - He must be delighted! - Not delighted, but (yes, he is) happy. C'est un homme pas sympathique. He is an unkind man. - Tu en veux ? - Oui, mais pas beaucoup. - Do you want some? - Yes, but not a lot. - Ça va ? - Pas mal. - How are you? - Not bad. - Elle vient mercredi ? - Non, pas mercredi. Jeudi. - Is she coming on Wednesday? - No, not Wednesday. Thursday. - Je veux deux bananes. - Pas de bananes aujourd'hui. - I want two bananas. - No bananas today. - Qui veut nous aider ? - Pas moi ! - Who wants to help us? - Not me! - Tu as faim ? - Pas du tout ! - Are you hungry? - Not at all! Tu viens, ou pas ? Are you coming, or not? Je l'aime bien, pas toi ? I really like it, don't you? Je ne mange pas ! I don’t eat. Ne manges-tu pas ? Aren’t you eating ? Je ne mange que du pain. I ONLY EAT BREAD. Please do the following sentences in French into your copy! I rarely eat in restaurants. I will go to Paris but not Wednesday.